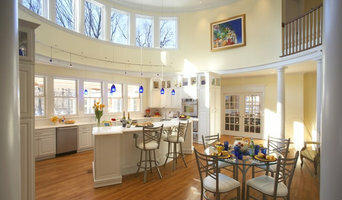 BEST of HOUZZ: RANKED #1 in SAINT LOUIS - HUNTLEIGH - LADUE - CLAYTON - KIRKWOOD Custom Home Builder and Luxury Home Remodeling. Earning 5 STAR REVIEWS from our clients, your neighbors for years. G Terbrock Luxury Homes builds custom homes and remodels luxury homes in Huntleigh, Ladue, Clayton, and Kirkwood, and is honored to be Ranked #1 in Saint Louis by Houzz. There are 3 reasons why. 1-Process 2-Team 3-Execution Our Process: G Terbrock Luxury Homes understands that you want your own special place that reflects your style and taste. We use a trademark process, “The 5 Simple Steps.” ™ It allows you to describe what you want, the design team draws it, you approve it, and G Terbrock Luxury Homes builds it. By following our process, you will love your home. Our Team: G Terbrock Luxury Homes assembles a team for each project, based on trust, in collaboration with architects, and interior designers. We use top sub-contractors and suppliers for each project to guarantee the highest quality building standards and a 5-Star client experience. Execution: Our clients expect the best and refuse to take unknown risks to cut costs. Close attention is paid to the requirements of time, budget, taste, and craftsmanship. Years of experience means increased expertise and capacity to integrate state of the art systems, value engineering, as well as practical solutions to unique and common design challenges. The first step is to schedule a complimentary idea session to discuss your project. Free estimates are always included. G Terbrock Luxury Homes invites you to join their exclusive client community by calling (636) 238-5957 or by contacting Greg Terbrock at greg@gterbrock.com. Hibbs Homes is a custom luxury home builder located in St. Louis, Missouri. We specialize in design build services, building custom-crafted, lifestyle-inspired homes. The best homes don’t start with blueprints or floor plans. They start with inspiration and vision. You’ve been inspired by home designs you’ve seen on your travels. When you build a home with Hibbs Homes, our team will work with you to design a home that captures that vision - one that works with your lifestyle and budget. Each new home that we built is tailored in every detail - from the selection of the perfect property to the home’s design elements and features. Gebhardt Homes is a custom design & build firm based in the Edwardsville & Glen Carbon, Illinois area. They pride themselves on their ability to design and build any style of home, from traditional and craftsman, to Energy Star Certified, or your own unique style. The focus is always on family-friendly custom homes and designs that are as unique as the people that live in them. Brian Gebhardt, owner of Gebhardt Homes, is a Department of Veterans Affairs-approved builder and member of The Green Building Initiative. He has been building custom homes since 2005 and takes a lot of pride in his work. 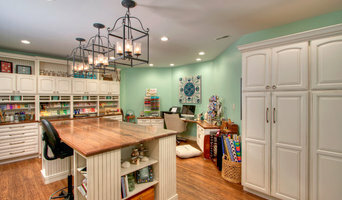 "I like my clients to feel like they can get exactly what they want in their home. I prefer to do unique homes, not the same ‘ole same ‘ole you see in most places. I’m not talking outlandish, but practical…real person practical." Gebhardt Homes has developed an impressive portfolio of homes over the past 11 years - many within popular Edwardsville subdivisions, such as Savannah Crossing, Stonebridge, Arbor Lake, Spring Hill, Hearthstone and several others in rural settings. "I do all of my own designs/drafting/plans and love helping (if needed) with lighting, material, and other creative selections. I build primarily custom homes, but like to do a special project once in a while, something that is of particular interest to me, just to have a little fun." Gebhardt Homes maintains a modest working portfolio of clients because they are committed to providing impeccable customer service “We like to focus our attention and resources on our customer in order to help make their building experience a positive one” explains Brian. "I personally design my custom homes, working closely with the client to get just the right floor-plan for them while keeping finishes in mind so that we can have control over the budget. I also like my clients to feel like they can get exactly what they want in their home…they don’t have to feel tied to choice A or B…it’s a true custom home." If you are planning to build a unique, affordable custom home, be sure to call Brian at Gebhardt Homes. He would love to share his ideas with you and get you started on the house of your dreams. St. Louis County's Elite Home Builders | 3X Best of Houzz! 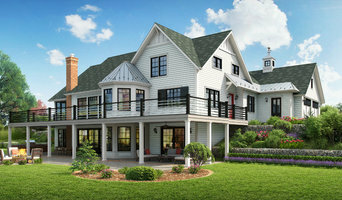 QUALITY BUILDING AND RENOVATIONS INC.
At Stockell Homes, we've built our reputation as the trusted builder of luxury custom homes in the St. Louis area for over 30 years. We build with exceptional quality and attention to detail. We build high-performance homes that cost less to heat and cool, are low maintenance, have healthier indoor air quality and are built to last. We would love to work with you to design and construct the home of your dreams. 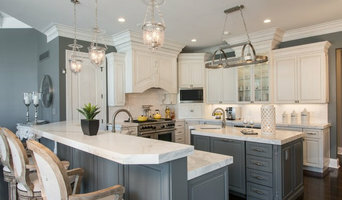 Home Elements Designs is an interior design studio specializing in cabinetry, flooring, kitchens, and bathrooms. Located in Chesterfield, Missouri, we have a team of in-house designers who are ready to make your dream home come to life! Jeffrey Homes is an award winning new custom home contractor, new homebuilder specializing in high-end custom homes, additions, kitchen remodels, bathroom remodels, finished lower levels. With close to 20 years of experience, education and - above all enthusiasm, we create a project that is quality crafted, distinctive and exclusively yours. Jeffrey Bernstein isn't your typical homebuilder. He graduated with honors from the University of Illinois with a degree in real estate finance, and then went on to graduate from Washington University School of Law. After practicing law for a few years, Jeffrey entered the homebuilding industry. Jeffrey has worked for some of the St. Louis Metropolitan area's top homebuilders. Climbing the ranks from sales manager and superintendent to project manager and general manager, he gained valuable experience in every aspect of homebuilding and home buying. With his diverse knowledge and expertise, Jeffrey will make your dream home come to life. Native to St. Louis, Jeffrey knows that there is no better place to raise a family. UIC Homes is committed to architecture that provides innovative and practical models for modern living. As one of Saint Louis’ largest single-family homebuilders, we have the experience to construct efficient, quality, creative spaces that enable you to live your best life. We believe in supporting vibrant and sustainable neighborhoods, and design our homes as attentive and adaptive additions to their context. UIC Homes understands that building a new home or renovating your existing one is a major undertaking and very personal process. Our talented team of architects, designers, and managers are committed to providing an exceptional client experience, and will work closely with you to simplify the homebuilding process. From model homes to historic renovations and custom homes -- see yourself in a UIC Home. For home renovations and additions, check out our sister company, REFINE.